William Hill Poker welcome bonus. Play with £10 instantly + Get £100 Bonus. Opt-in required. X1 per customer. New customers only, min first deposit/transfer £10 to poker account. Game restrictions and Terms Apply. ♣CGT: £7 cash game ticket tables up to €0.05/€0.10, game mode, type, bet type, table size and stake restrictions apply, 85 WHPoints to redeem. Expires in 7 days. ♠ Tournament Tickets: 4X tournament tickets total value of £3. 2x SnG Ladder, 1X Twister Sit&Go, 1X Wild Twister Sit&Go. ♥£100 Bonus Money: WHPoints to redeem Bonus (two stage redemption rate), expires in 45 days. ♦Bonus Spins: x40 wagering. expires in 14 days, Max redemption £20. Terms Apply. 18+. New real money customers only. First deposit only. Paid as tickets and pending bonus. Bonus funds released with point accumulation. 90 days to accumulate points. Freeroll tickets valid for 2 months. Twister tickets valid for 1 month. Tourn tickets valid for 2 months. Cash table ticket valid for 30 days. T&C's apply. Play poker games against real people, online, anytime! The internet is bringing poker players from around the world together. Right now poker sites are offering deals at new players, you could claim £100s in bonus chips to get you started. 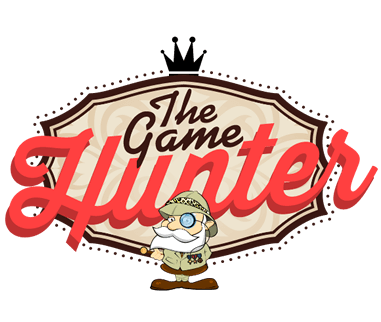 I like to play a hand of Texas Hold'em, so who better than me ‘The Game Hunter' to give you the low-down on the best places to play poker online? My reviews contain all the information you need to make the right choice. If you have never played poker before and would like to learn then my poker blog has some great guides, so be sure to check out my handy poker tips for great advice from professional players. You can be confident when playing at the sites listed here that everything is above board and top notch. I've checked the sites security, payout process and gameplay – you can read a short reviews of my top online poker sites below. 32 Red Poker is giving a 200% First Deposit Bonus – worth up to £/$/€1000. New accounts only. Minimum deposit £/$/€10. New accounts only. Min €$£10 deposit required to qualify for the 200% bonus. Levelling up requires gameplay. 18+. T&Cs Apply.